Could Amy and Dan's biggest enemy be . . . a friend? 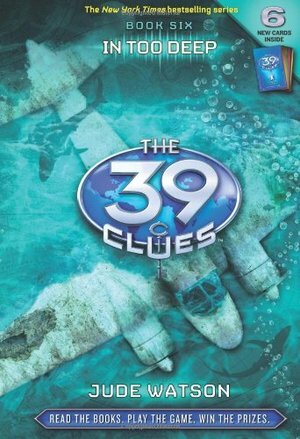 The 39 Clues Book 6 challenges everything you thought you knew about the Clue race.JOIN ANYTIME TO PLAY FOR THE CHANCE TO WIN!The 39 Clues gets treacherous. Book 6 takes Amy and Dan across oceans on the trail of a famous aviator, but they find more than they're looking for. Their enemies are becoming more vicious, and the truths they discover more crushing than ever.